As a new filmmaker, your number one goal should be to get in front of as many eyes as possible. It is about showing what you can do so someone will fund the next one. The Mumbai Fest’s International Short Film Festival 2018 will help the filmmakers find and hone his or her voice. A Short Film is a way for filmmakers to experiment and learn what works; that knowledge can then be used when the filmmaker moves on to a feature film. If you already have a Short Film with you then just don’t keep it with you, share it with the world. 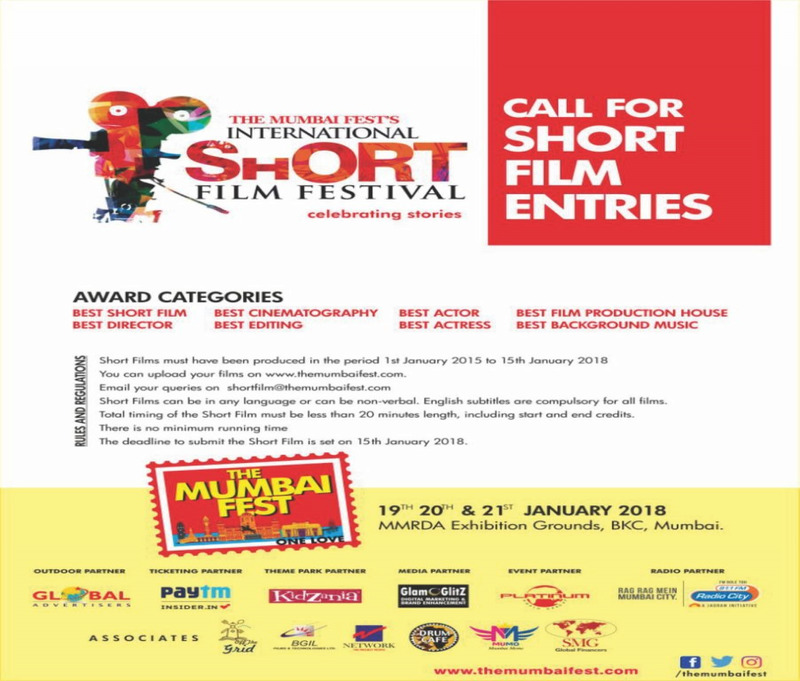 The Mumbai Fest’s International Short Film Festival 2018 gives you a better chance of reaching more people. This film institution is one of the best places to learn how to make a short film and feature film .Having the opportunity to get an education and learn all of the trade secrets make it worthwhile. You will find that participating in The Mumbai Fest’s International Short Film Festival 2018 can be a great experience. If your Short Film is in the process then we would like to tell you that making a short can reinvigorate your creative drive, since the short film medium is one where anything is both possible and acceptable. The Festival authorities will be eagerly waiting to screen some interesting Short a Films made by the talented students of the institution.